Madison-Harry A. Marris, Jr., 79, entered eternal rest on Tuesday, November 13, 2018, following a lengthy illness at the Valley View Nursing Home in Norwich. He was born on April 7, 1939, at the Madison Family Home, the son of the late Harry A. Marris, Sr., and Camilla Smith Marris. Harry was a life resident of Madison and attended Madison Central School. Harry worked as a Union Construction Laborer, until his retirement. He grew up on the family farm, and also helped other local farmers with the daily chores. On September 23, 2000, he married Marion E. Miller. Their joyous union, blending two families together as one, with 11 children. Harry was an avid hunter, who enjoyed the outdoors. In later years, he enjoyed long county drives, to enjoy the beautiful scenery that Central New York offers. 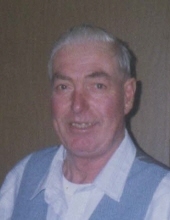 Harry was also known to enjoy a cold beer with family and friends. Most of all, he will be missed as a loving husband, father, grandfather, and great grandfather. Harry is survived by his beloved wife, Marion; his children, Benny Marris, Penny Marris, John Marris, Donna Smith, Connie Hatch, Roseanna Hall, Harold Miller, Terry Miller, Teresa Davenport, and Tina Dutcher; 39 grandchildren; 34 Great Grandchildren. Nieces, nephews, and close friends also survive Harry. He was predeceased by his parents, Harry and Camilla, his daughter, Mary Jane Fuller, and his sisters, Gertrude A. Cass and Laura Detraglia. To send flowers or a remembrance gift to the family of Harry A. Marris, please visit our Tribute Store. "Email Address" would like to share the life celebration of Harry A. Marris. Click on the "link" to go to share a favorite memory or leave a condolence message for the family.